The Gorringe bank, Seine and Josephine are part of the geologic complex Madeira-Tore. The Gorringe is a huge seamount of volcanic origin with steep slopes whose base lies at 5000 m depth and the summits of the main seamounts (Gettysburg and Ormonde) are placed at less than 50 m depth beneath sea surface. It was discovered in 1875 by Captain Henry Honeychurch Gorringe commander of the U.S.S. Gettysburg. It is located in the Portuguese Exclusive Economic Zone, about 200 km from the southwest coast of mainland Portugal. 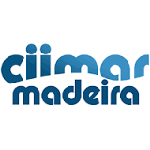 It is oriented in the NE-SW direction, covers an area of approximately 9500 km2 with more than 180 km of length and is part of the Horseshoe basin plain located between the coast of mainland Portugal and the Madeira Archipelago. The Gorringe Bank is one of the oldest seamounts of the Atlantic, with 110 to 135 million years of age. Its development started in the late Jurassic, at the same time as the formation of the North Atlantic. Due to its location between the African and Euro-Asiatic tectonic plates, it has been associated to geological seismicity phenomena. It is mainly influenced by the Gulf, Antarctic and Mediterranean currents. The combination of these oceanographic conditions leads to the upwelling of nutrient-rich deep waters, promoting the occurrence of high primary productivity. Despite its relative proximity to the coast of mainland Portugal and the importance already recognized as a "hotspot" of biodiversity, few biological studies have been carried out in the Gorringe. However, in recent years it has been the focus of research and policy makers’ attention, being recently included in the National List of Sites and proposed as Site of Community importance (Resolution of the Council of Ministers No. 59/2015 of July 31). A) Lollipop sponge beds composed by Podospongia genus and various unidentified species. Source: OCEANA 2014; B) Black coral beds (Antipathella sp. e Tanacetiphates sp.) forming mixed forests on rocky areas with little sedimentation. Source: OCEANA 2014; C) Torpedo marmorata © OCEANA 2014 / Carlos Suarez. Specimens collected during the cruise ArqBIOMETORE-44-V15 carried out between August and September 2015. The Seine seamount is located in the Atlantic Ocean, NE of the Madeira Archipelago. It is more than 4000 m high and has a single summit plateau at 170 m depth beneath sea surface. The plateau surface is covered by coarse biogenic sediments with ripple-marks (indicating the strong bottom current flows) and few rocky outcrops. Bivalve and gastropod mollusc specimens collected at the Seine seamount (Author: Serge Gofas). The Josephine seamount is an area of approximately 19,370 km2 located to the east of the Mid-Atlantic Ridge between Madeira and mainland Portugal. It represents the westernmost point of east-west trending series of banks and seamounts separating the Tagus and Horseshoe abyssal plains. The feature was named for the Swedish Corvette Josephine, whose crew discovered it in 1869 during a scientific expedition in the North Atlantic. It is oval shaped and rises to within 170 m of the surface m at the southern end and is associated with several other seamounts. It has an almost flat top surface of about 150 km2 within the 400 m depth contour and 210 km2 within the 500 m depth contour. The summit is covered by basaltic rocks and a patchy cover of limestone and well sorted bioclastic sands with a high content of recent and relict benthic organisms such as, foraminiferans, bryozoans, corals, worm tubes, molluscs and echinoderms. Rocky outcrops and limestones are covered by dense aggregations of the coral Callogorgia verticillata and the gorgonian Elisella flagellum, as well as the sponge Asconema setubalense, while bioclastic sands are inhabited by the ascidian Seriocarpa rhizoides. To date about 150 invertebrate species (sponges, hydrozoans, corals, gorgonians, polychaetes, bivalves, barnacles, ostracods, sea spiders, brachiopods, sea urchins and ascidians), and 31 fish species are known from the Josephine seamount.